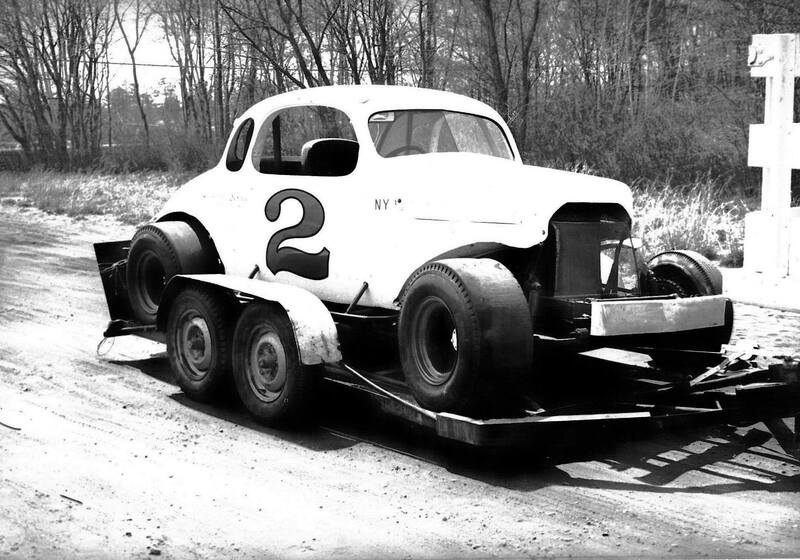 The Ackerman 2 was often driven by Sal Mauro, but Ed drove it to victory in the Southside 400 on September 4th, 1964. 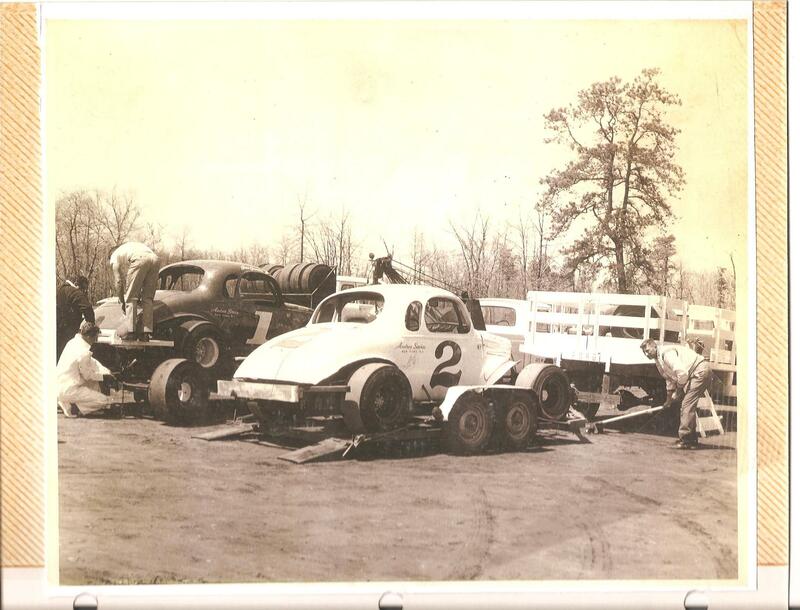 During the winter of ’63-64, Ed built both the Ackerman cars shown in the photo. 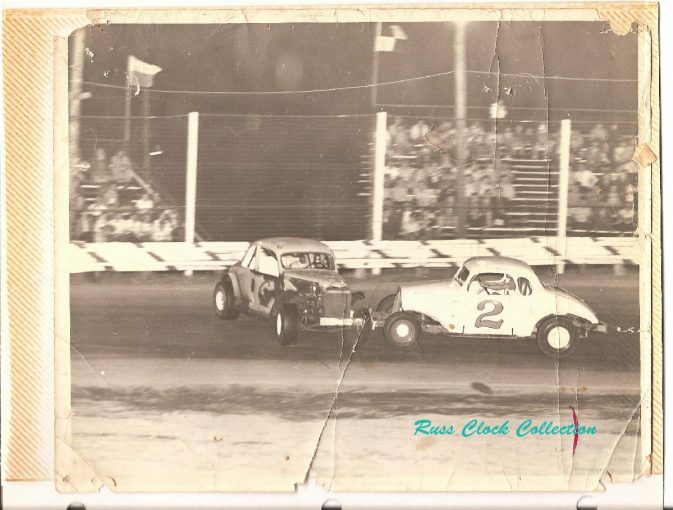 Thanks to Robert C. Clock for the image and for the information. 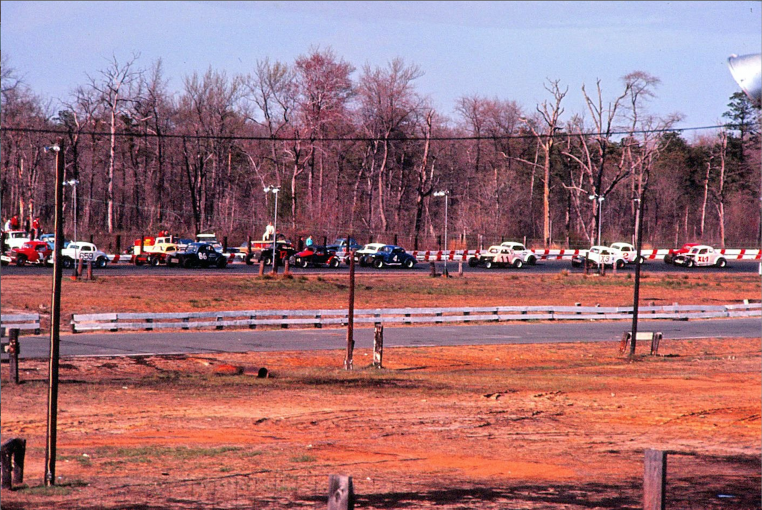 1964 – Old Bridge. Best information is that Ed is starting near the back in the Ackerman #2. Denny’s black #4 is in the middle of this image. 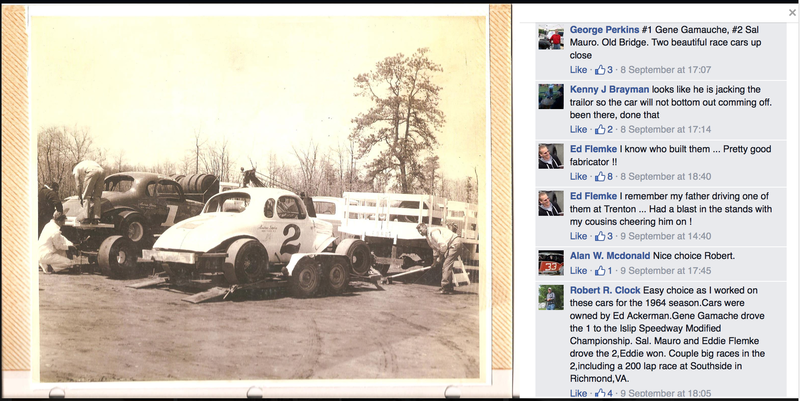 Thanks to Larry Jendras Jr for help in identifying the details. This is the same #2 that Ed built for Ed Ackerman in the winter of 1963-64. 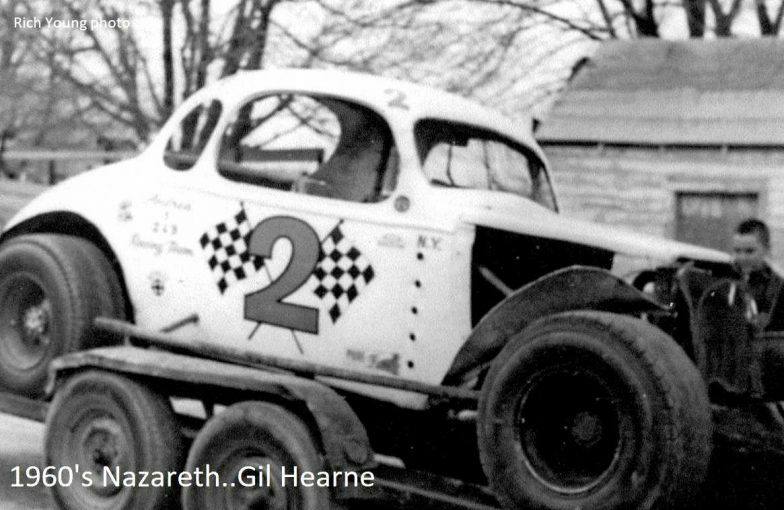 In 1964, Ed drove the Ackerman #2, which he himself built for owner Ed Ackerman, to victories at Fort Dix on a Thursday and then in the Southside 400 the following evening. 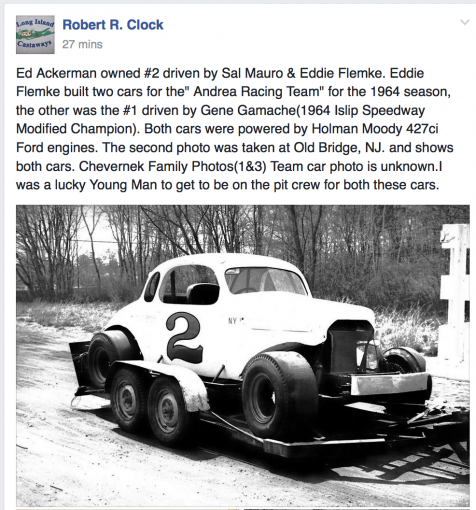 Thanks to Robert Clock, who was part of the Ackerman crew, for the information. Howie Markley is in the sideways car, Sal Mauro in the Ackerman #2.